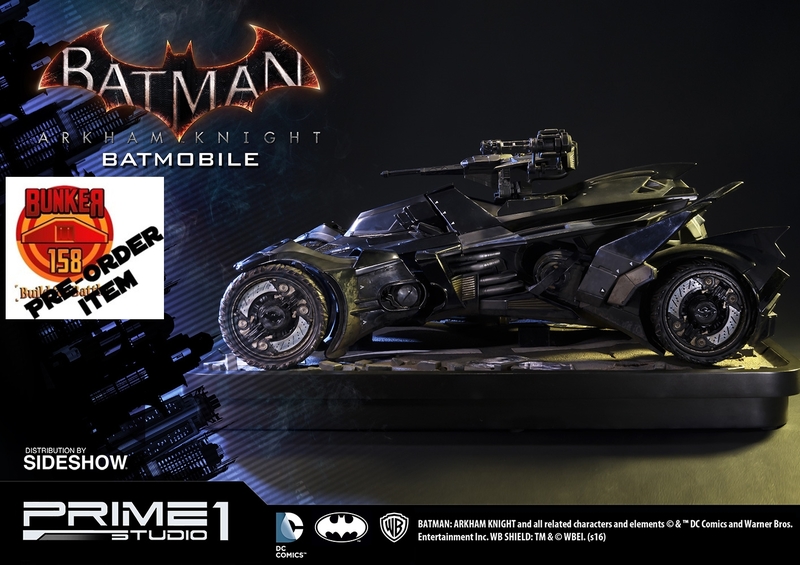 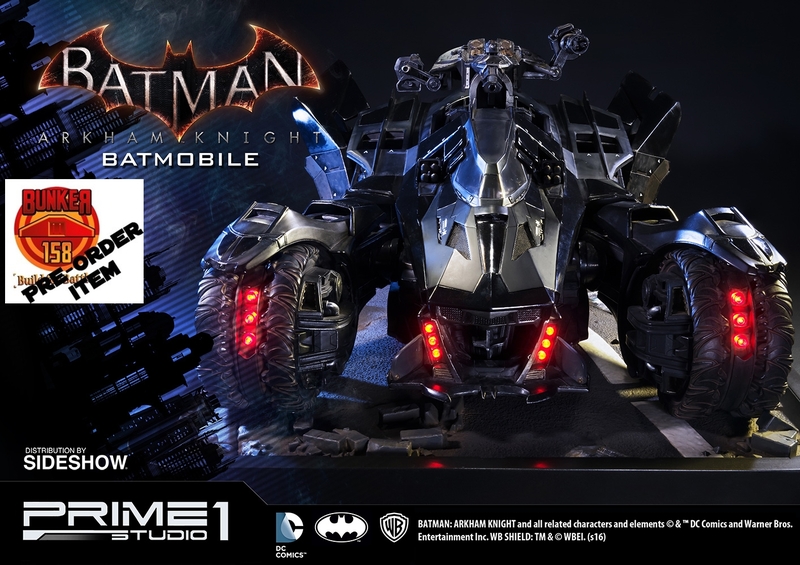 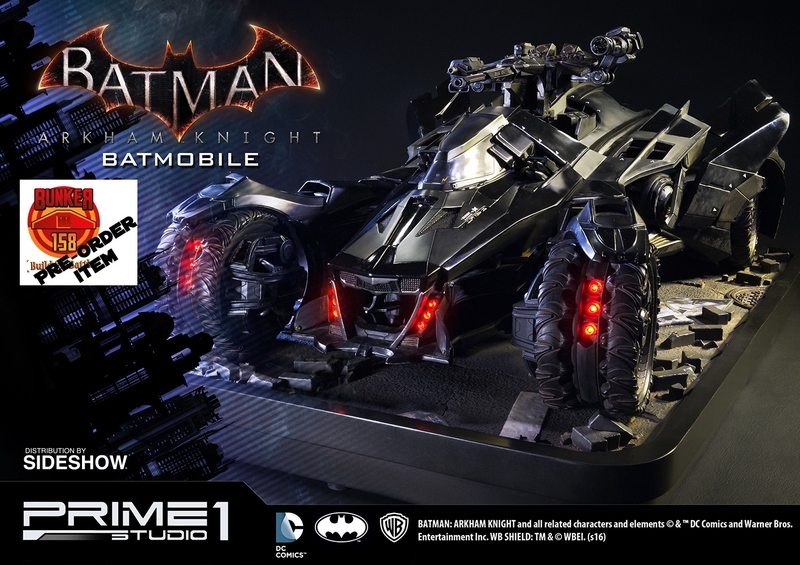 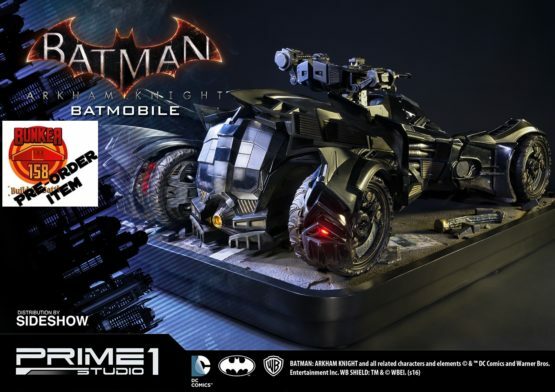 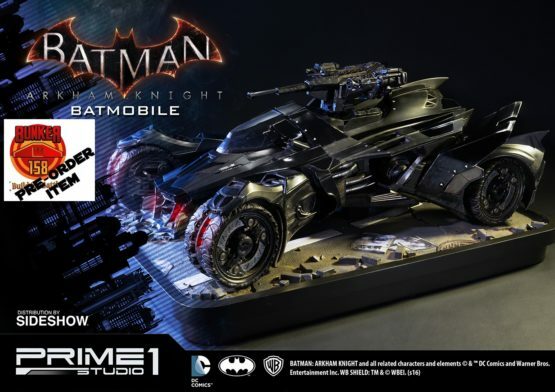 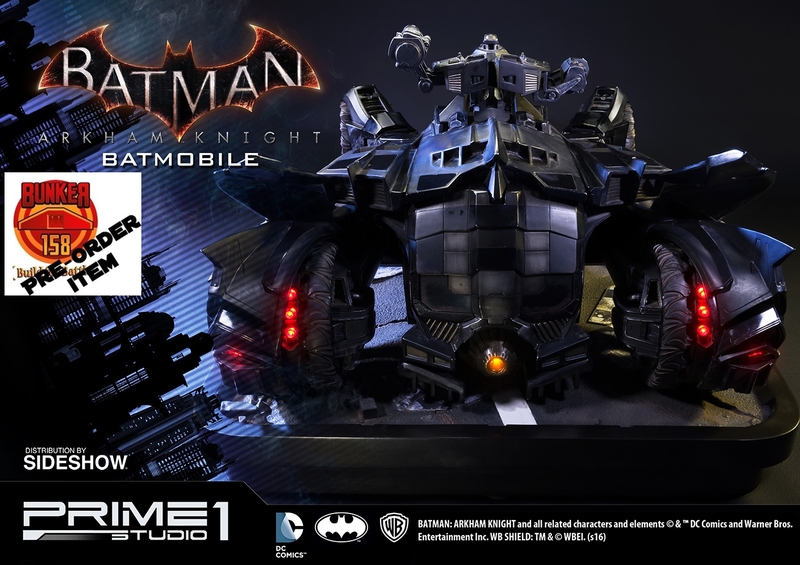 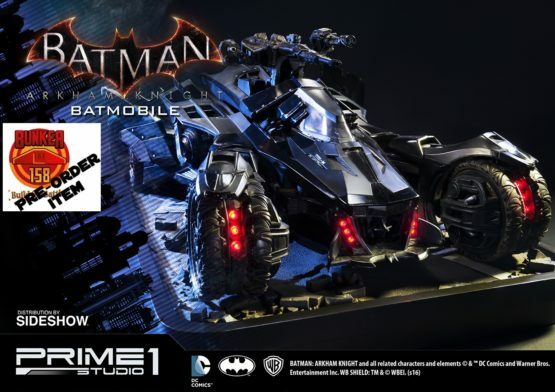 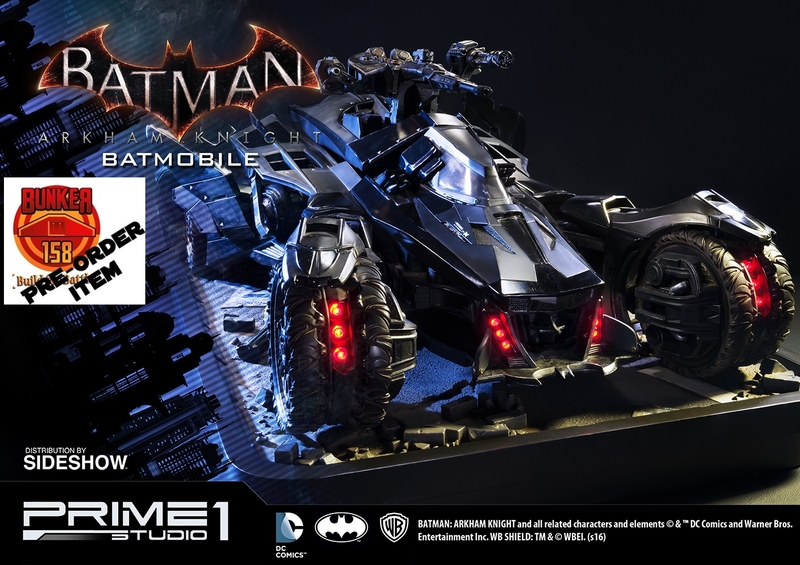 Sideshow and Prime 1 Studio are proud to present the Batmobile from Batman: Arkham Knight. Designed by Batman, the Batmobile is a highly detailed vehicle that exceeds capabilities of any other on the road. 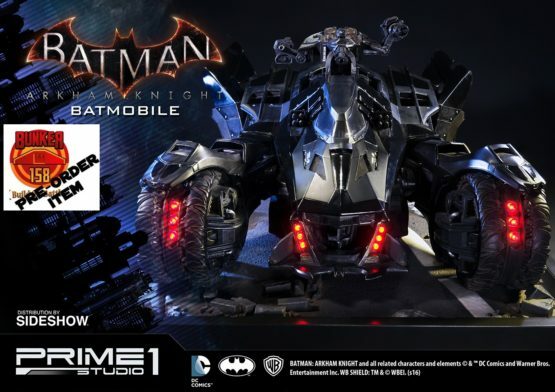 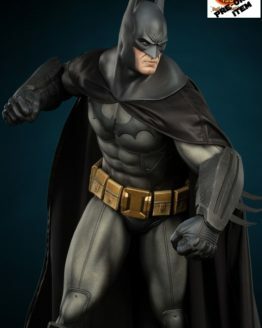 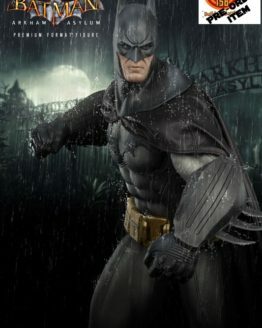 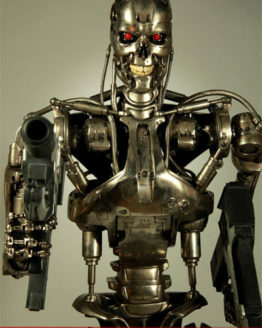 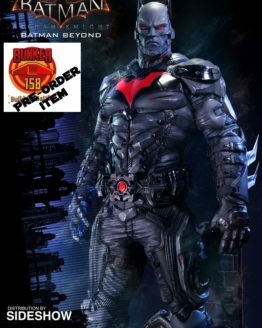 Armored and outfitted with enhanced recon capabilities and weapons, this tank-like custom car is Batman’s main mode of transportation around Gotham City. 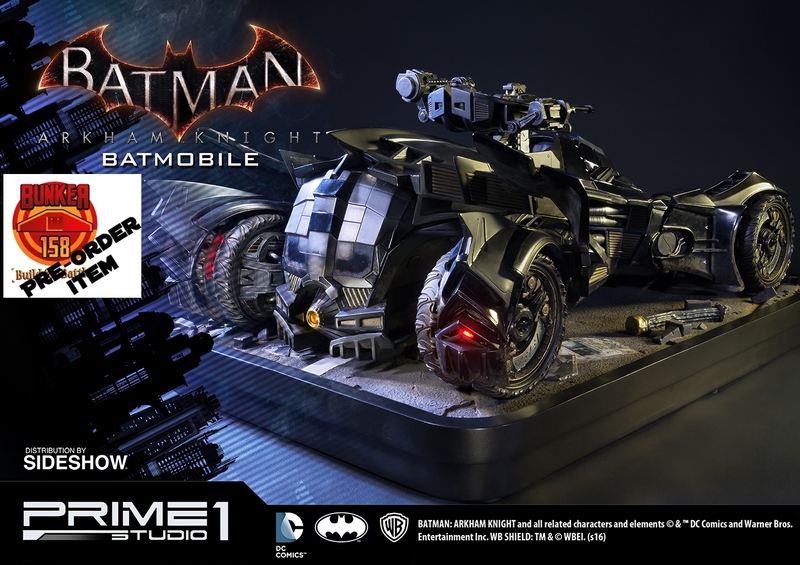 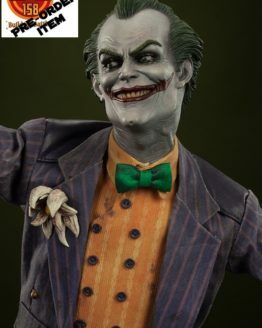 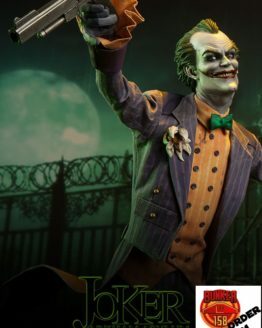 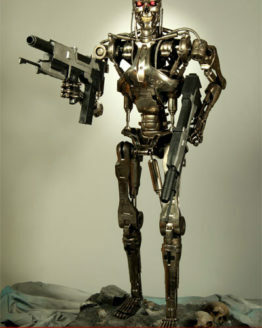 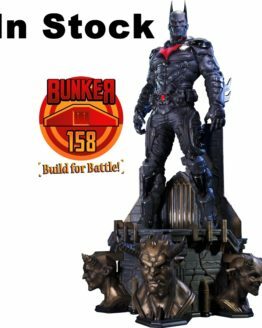 This 1:10 scale polystone diorama features an LED light-up function.